I was trying to think of a way to start this post when I read the above quote by writer and broadcaster Kate Humble. I think that it is a great little intro into the ideas behind the brand that I'm writing about today and what to expect from them. With that said, I do in fact have two products from the range to discuss with you today. The Humble Hand Wash and Hand Lotion, just like the rest of the range, are eco-friendly and come free of SLS and parabens and all ingredients are sustainably sourced and selected to minimise the impact on waterways wherever possible. They come in two different scents, Sweet Pea and Verbena and Rose and Frankincense. I have bottles from the Sweet Pea and Verbena scent collection that I have been testing out to give you all some feedback today! They both come packaged in orange/brown translucent, plastic bottles made with recycled plastic that hold 285ml of product with a black pump lid. The bottles can also be recycled after use. The Hand Wash itself is of a yellow-coloured gel consistency whereas the lotion is an off-white shade. Wet your hands and use a small amount of the Hand Wash. Massage it into the skin and rinse. Dry off your hands and squeeze a small amount of the Hand Lotion into your hands and massage in, not forgetting the cuticles and nails. The first thing that you notice about these products is that the scent is really strong but lovely at the same time. It smells clean and fresh, but also warm and comforting all at once. It is inspired by Kate Humble's love of the countryside, and you can definitely feel that influence. The one thing that can happen with hand washes is dry skin. 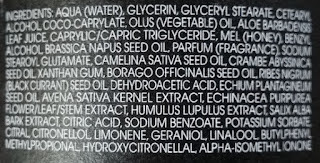 Especially hand washes that contain ingredients such as SLS (which as I stated at the start of this post, this one doesn't). 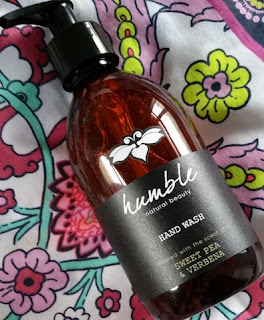 Well, I am happy to say that the Humble Hand Wash doesn’t dry out the skin which is what you need, especially with multiple hand washes throughout the day. It leaves the hands feeling and smelling clean, and the scent lingers for quite a while. 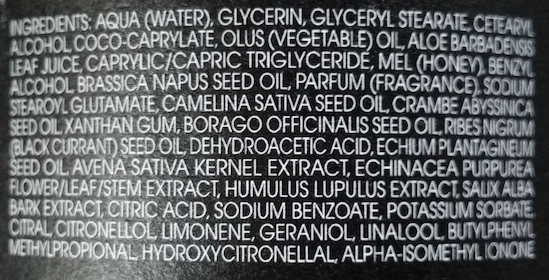 In fact, you can even smell it after other people have used it. As they walk by you after recently washing their hands, you instantly catch a whiff of it. The Hand Lotion is mildly softening. It doesn’t provide intense moisture, but it does a great job at keeping the hands smooth throughout the day after hand washes. It is wise to use as little as possible as too much can mean that you will be massaging it into the hands for a fair amount of time to get it to absorb fully, but once is has absorbed, that lingering scent does become more powerful. Since using both the Hand Wash and the Hand Lotion, anyone who has tried it has said that they enjoyed trying it, stating that it has a lovely smell and that it leaves the hands feeling soft, so it has been a hit here. Overall, I personally really like them too. I like the eco-friendly-ness of the brand and the lack of harsh chemicals really helps to prevent your hands from becoming dry. If you don't like overwhelming scents, you may be put off by the strength of this one, but I cannot say if it is the same for the Rose and Frankincense range too. These hand products are well worth a go if you are eco-conscious or prefer to avoid harsh ingredients (and even if you aren't). 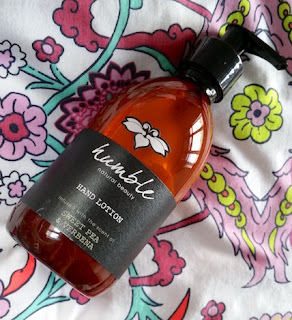 You can buy the Humble Hand Wash and Hand Lotions For £10 each at Waitrose or Amazon (you can find the Hand Wash here and the Hand Lotion here). 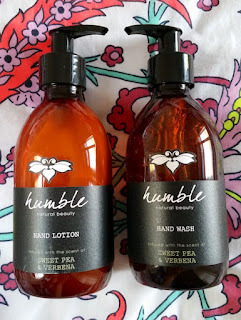 What are your thoughts on the Humble Hand Wash and Hand Lotion? What do you think of the message behind the brand?